In the 21st century, more and more we all seem to be gathered around tiny phone and tablet screens to view our entertainment rather than watch it on the giant HD television taking up valuable space in the living room. The solution is the cool new Tipron. 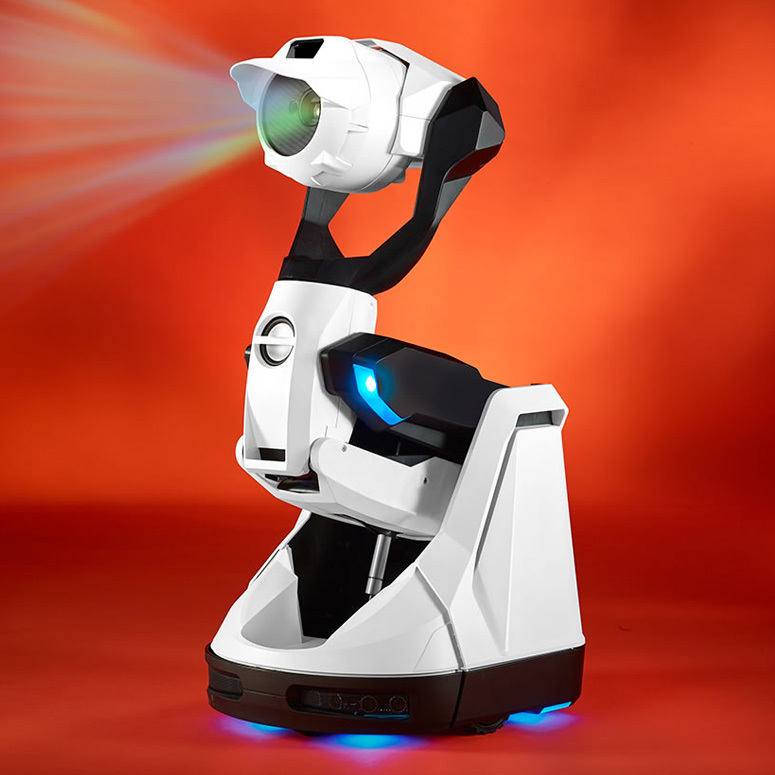 The next time you want to watch content from your mobile devices, just summon this little wireless robot to come to you, rise up, and wirelessly project that video onto a wall or ceiling up to 80″ in size. No more huddling around a phone to watch some funny YouTube video, no more passing around a phone to see tiny photos, and no need to prop up a tablet in the kitchen to follow a recipe.